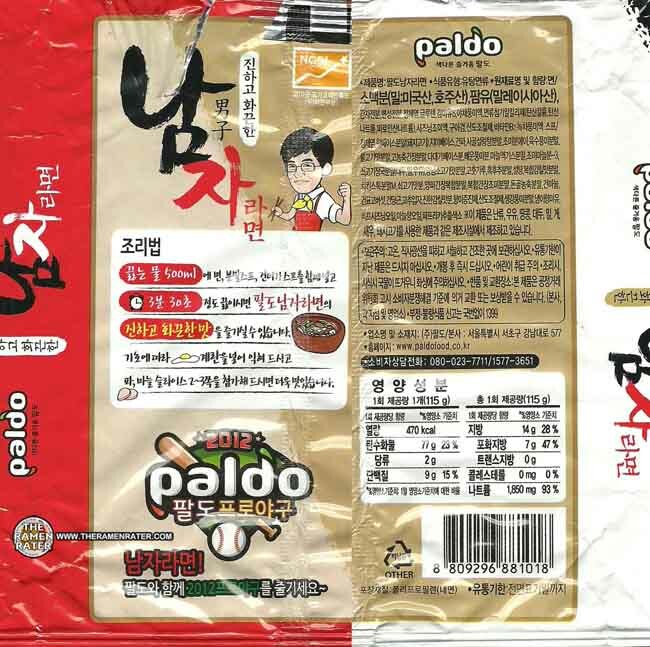 Here’s a new one from Paldo – Namja. Namja translates to “man” or “guy” – I think they’re saying this is very hot and spicy. I wonder if there will be a product that is made for women as well? Well, let’s see if I’m man enough for this bowl of noodles! Well kiddies, by the color of this powder I think it’s going to be spicy! Looks like a nice little collection of veggies in there. Finished (click image to enlarge). I took some fresh onion and a little roast beef and a bit of garlic and sauteed in a pan for a few and added on top with a dash of Krazy Mixed Up Salt. Also added a slice of processed cheese. The noodles herein are chewy – and nicely so. The broth is the real star here. It has a very strong spicy punch to it and a nice cascade of garlic taste that is very enjoyable. The vegetables rehydrate very nicely and are enjoyable. 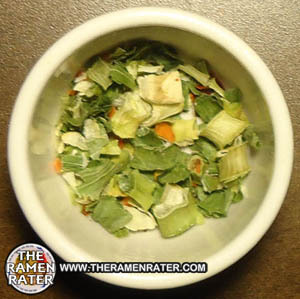 This isn’t you regular red broth – it’s definitely going for the ‘gourmet’ palate – and it does that very well. 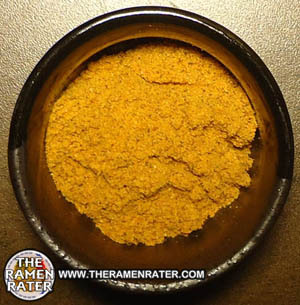 5.0 out of 5.0 stars – unique and tasty! UPC bar code 8809296771018 – get it here. 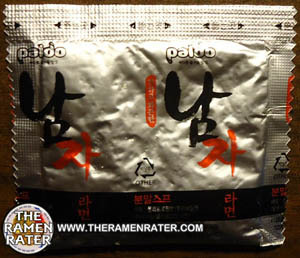 I don’t always agree with this guy’s reviews, but he’s a great reviewer – always fun to see his reaction to spicy ramyun! 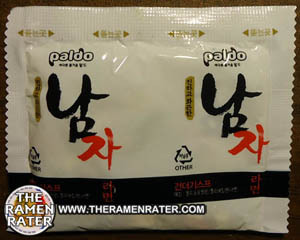 As soon as I read this review I went out to my local Korean Grocery Store and got myself some of this and tried it. I have to say that this may have become one of my new favorites! Te noodles have very nice texture, medium thick and chewy and the soup is amazing! It’s not Spicy like Shin Ramyun, But the hotness is coming more from the Garlic rather than the Chilli. Thank you for writing this review, I’ve discovered a new favorite! 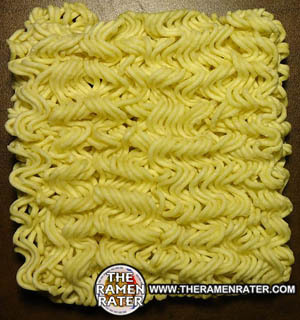 Man noodles? That’s rather sexist no? I’m female and I reckon I can taste as much spice as any man! Bring it on! 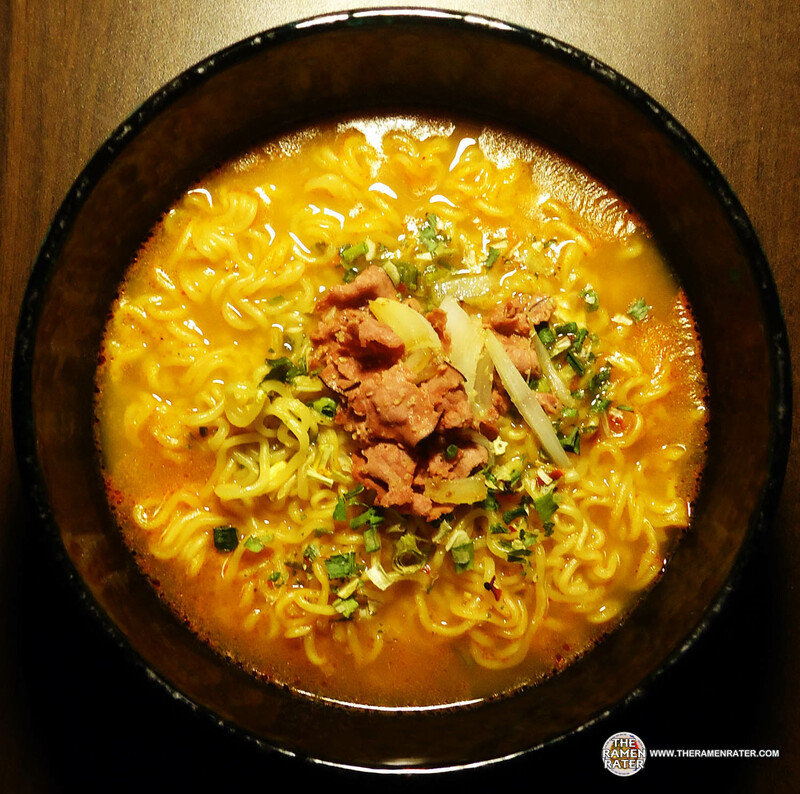 “Namja ramyun” means both “If you are a man” and “Man’s ramyun”. 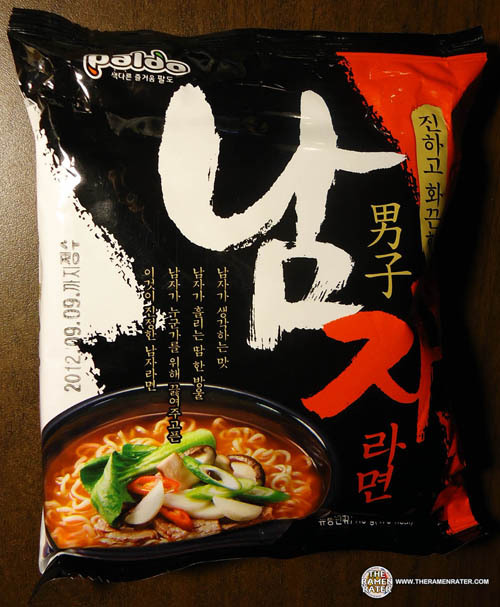 (ramyun≒if in Korean). It seems like a joke, but makes sense. and, I translated four sentences in the first photo.